Welcome to iCritic, one of the internets most dedicated film review sites! Unlike most websites, iCritic has never been about flashy graphics, videos, or scandelous gossip. It has always been about the movies and the art of them. Film critic Kevin T. Rodriguez has been the designated film critic for ten years, and brings his unique view to what he watches. Enjoy the site! One of the biggest issues facing the world today is not that we do too much things, but that we do those things at the expense of what really matters. We live lives that are fast, on-the-go, and way too chaotic for our own good. Stress is a major killer now and they have balls to help relieve that for $2.99 at your local Wal-Mart. 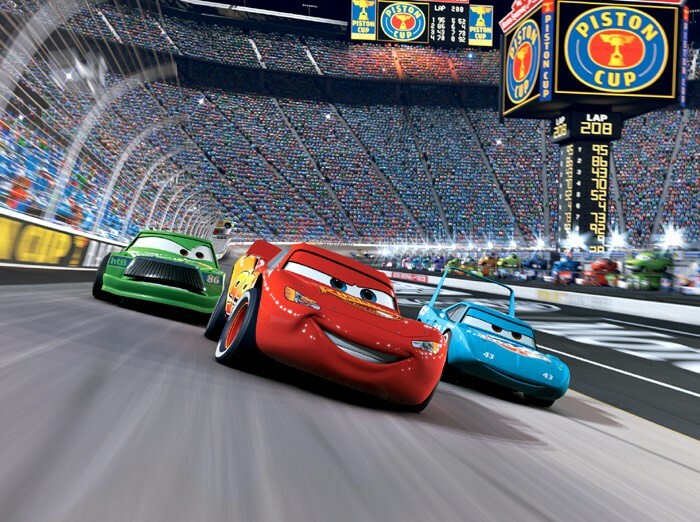 Pixar has been in such a steady climb that “Cars” is initially going to disappoint you. Its characters are (admittedly) not as memorable as you’d hope. It doesn’t have the grandeur of “The Incredibles” or “Wall-E.” It doesn’t have the fast humor of “Toy Story 2” or “A Bug’s Life.” Instead, it opens with fast driving until our main hero Lightening McQueen (Owen Wilson) winds up in a small town where he unintentionally destroyed the main road. Before, he was a rock star in the racing world. Now, he pulls a tar machine meant to put pavement on a busted street. There is a rusty old towing truck named Tow Mater (Larry the Cable Guy) who makes wisecracks all day long. Kids are likely to fall in love with him (while parents will lean more towards the other cars). The head of the down is Doc Hudson, who is voiced by Paul Newman. I don’t know how Pixar managed to make a car that looked like Paul Newman, but those brilliant animators managed to do it anyway. Life in this town is quiet and gay. There isn’t much traffic and most stores remain open even though there doesn’t appear to have been a customer for years. The lifestyle is very different from while McQueen is used to, and you can bet that it wouldn’t be a family movie if he didn’t learn to love the quiet life before the end of the movie. So, this all sounds pretty predictable. Heck, if you’re a parent, it may seem more like an animated version of “Doc Hollywood” if nothing else. I think you would be correct in both ways of thinking. “Cars” doesn’t exactly break new ground for Pixar. It doesn’t even do anything original when all is said and done. This is bound to disappoint many who keep going to their films and being surprised that they keep managing to top themselves. Unlike most though, I don’t see the lack of ambition as a terrible thing. The director is John Lasseter, who directed “Toy Story,” “A Bug’s Life,” and “Toy Story 2.” For years he was the golden boy at Pixar, and he was hired to save a few projects because his talent was undisputable. In that time though he realized his kids were growing up without him. After “Toy Story 2,” he packed the family in an RV and took a long trip down the famous Route 66. The kids told him to take the freeway to get to their destination faster, but this trip was about slowing down and enjoying life, and, thus, he insisted on taking the long, winding way. Does it come as any surprise that his return feature is about that very thing? He is trying to emphasize that life is worth living. Drive too fast or try to be too ambitious, and you might forget where you came from or the little things that make the journey so worthwhile. 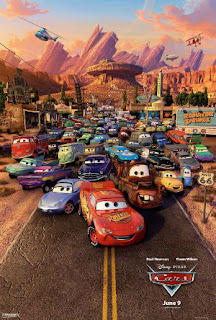 So even though “Cars” is a much smaller film than Pixar usually makes, it is entirely deliberate and it makes perfect sense. It makes sense as a personal project. It makes sense as a statement about a company that grows more and more ambitious with each new film. It makes sense as a movie. Personally, I don’t demand perfection. Even perfect movies have their flaws. “Cars” may be more imperfect than most movies I’ve seen, but it has something to say, and I believe it says it beautifully. On a side note, I should mention the songs are catchy and have a great road trip quality feel to them. Wouldn’t you know it; even in the midst of slowing down, Pixar had the foresight to create a perfect soundtrack for your next road trip. You should thank them for that! Parents, there is nothing objectionable in this movie. Recommended for all ages. Does Kevin Spacey's Life Impede His Art? Kevin T, Rodriguez. Powered by Blogger.